Get to grips with how to search for things within ChurchSuite using the Search bar, Advanced search and Module search features! 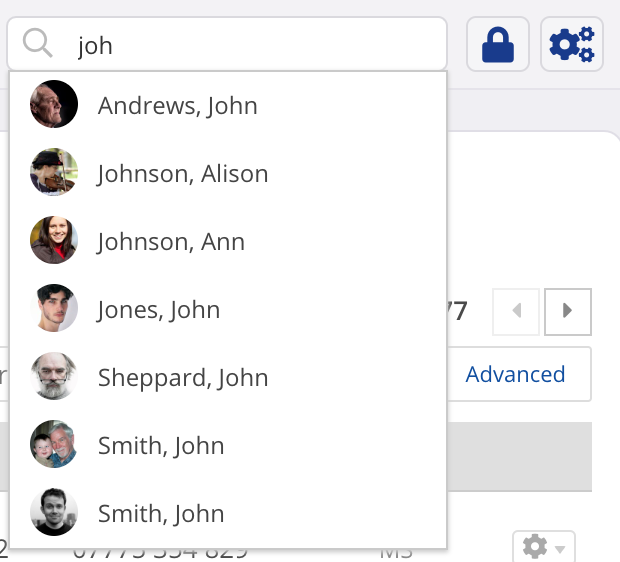 The Search bar on the Contacts list page of the Address Book module auto-filters the list of people as you begin to type a person's name, address, email, phone or mobile number, making it really easy to locate just the person you're looking for. You can Search within the Flows list page, searching by Flow name. You can Search within the Tags index page, searching by contact Tag name. You can Search within the Key Dates index page, searching by contact Key Date name. You can Search within the module's Reports section, searching by Address Book module report name - as you type within the search bar, the list of matching reports filters. 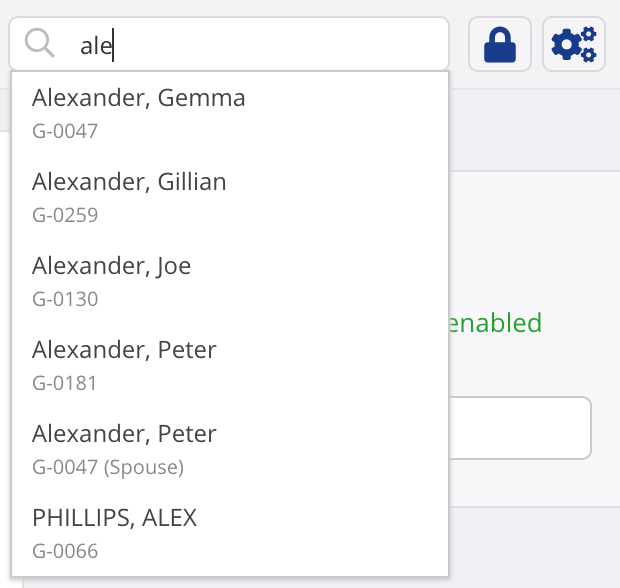 The Search bar on the Children list page of the Children module will auto-filter the children list as you begin to type a child name, age, address, email, phone, mobile number or parent name, making it really easy to locate just the child you're looking for. You can Search within the children Attendance list page, searching by group name or session name. The Attendance list page also includes an Advanced Search, providing further filter options - ideal for drilling down into your children attendance data further. You can Search within the Tags index page, searching by children tag name. You can Search within the Key Dates index page, searching by children key date name. You can Search within the module's Reports section, searching by Children module report name - as you type within the search bar, the list of matching reports filters. The Search bar on the Categories list page of the Attendance module will auto-filter the category list as you begin to type a category name, making it really easy to locate just the category you're looking for. You can Search within the module's Reports section, searching by Attendance module report name - as you type within the search bar, the list of matching reports filters. The Search bar on the Events list page of the Calendar module will auto-filter the event list as you begin to type an event name, making it really easy to locate just the event or sequence of events you're looking for. You can Search within the event Categories list page, searching by category name. You can Search within the Leave Setup list page, searching by user name (leave person). You can Search within the module's Reports section, searching by Calendar module report name - as you type within the search bar, the list of matching reports filters. The Search bar on the Groups list page of the Small Groups module will auto-filter the group list as you begin to type a group name, making it really easy to locate just the group you're looking for. You can Search within the small group Attendance list page, searching by group name. The Attendance list page also includes an Advanced Search, providing further filter options - ideal for drilling down into your small group attendance data further. You can Search within the module's Reports section, searching by Small Groups module report name - as you type within the search bar, the list of matching reports filters. The Search bar on the Rotas list page will auto-filter the rota list as you begin to type a rota name, making it really easy to locate just the rota you're looking for. There's also a Search bar on the Services list page - this too will auto-filter the service list as you begin to type a ministry name, making it really easy to locate just the service you're looking for. 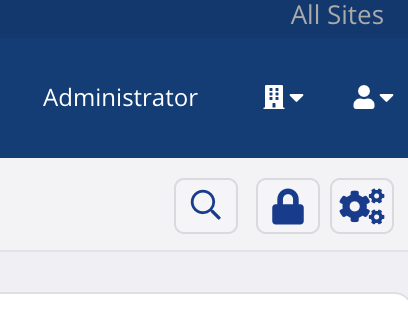 There's also a Search bar on the Ministries list page - this too will auto-filter the ministry list as you begin to type a ministry name, making it really easy to locate just the ministry you're looking for. ...and the Unavailability section of the Rotas module. You can Search within the module's Reports section, searching by Rotas module report name - as you type within the search bar, the list of matching reports filters. Each section within the Giving module has a Search option, to make it easier to locate something specific within a long list of data. For example, here in the Givers section you can Search by giver name or giver reference. 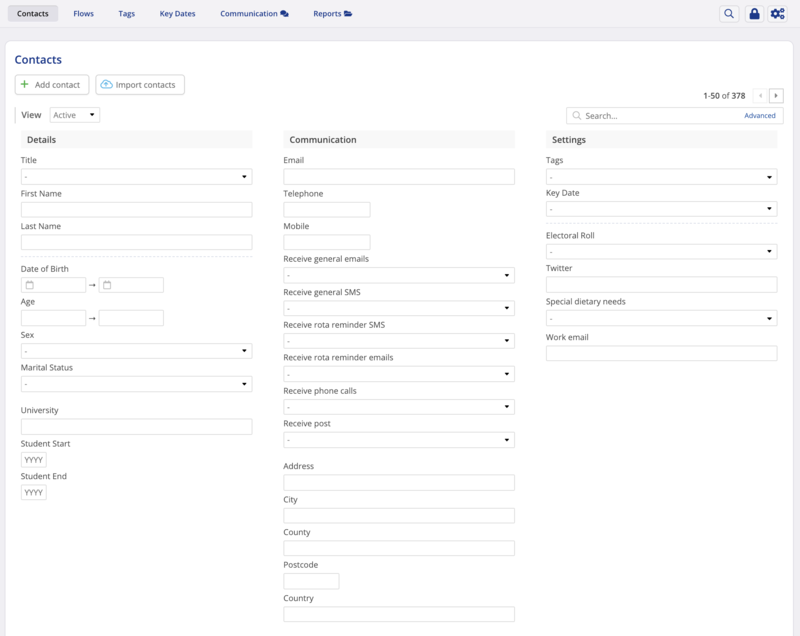 The Advanced Search in the Givers section allows you to drill down further into your data by filtering on a range of criteria, such as partial giver address, bank reference and givers within specific Giving module tags. Search and Advanced Search will match results within your Active givers by default. Switch the View to see Archived to see archived givers matching your criteria. You can Search within the Donations list page, searching by giver name. You can Search within the Batches list page, searching by batch name or number. UK churches can Search within the Claims list page, searching by claim reference. You can Search within the Funds list page, searching by fund name. You can Search within the Tags list page, searching by giving module tag name. You can Search within the module's Reports section, searching by Giving module report name - as you type within the search bar, the list of matching reports filters. Each section within the Bookings module has a Search option, to make it easier to locate something specific within a long list of data. For example, here in the Bookings section you can Search by booking name or booking reference. 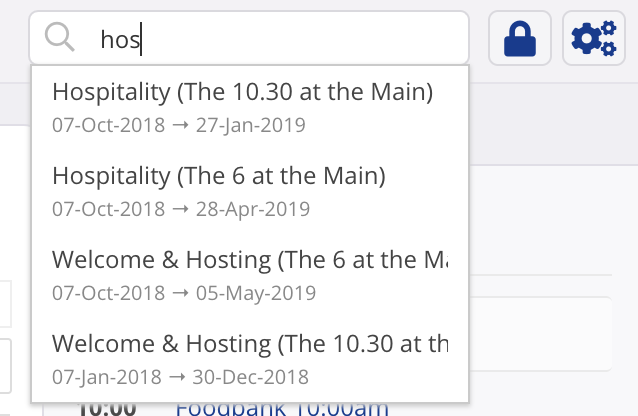 The Advanced Search in the Bookings section allows you to drill down further into your data by filtering on a range of criteria, such as bookings within a range of dates of a particular booking Type. Search and Advanced Search will match results within your Future and Confirmed bookings. 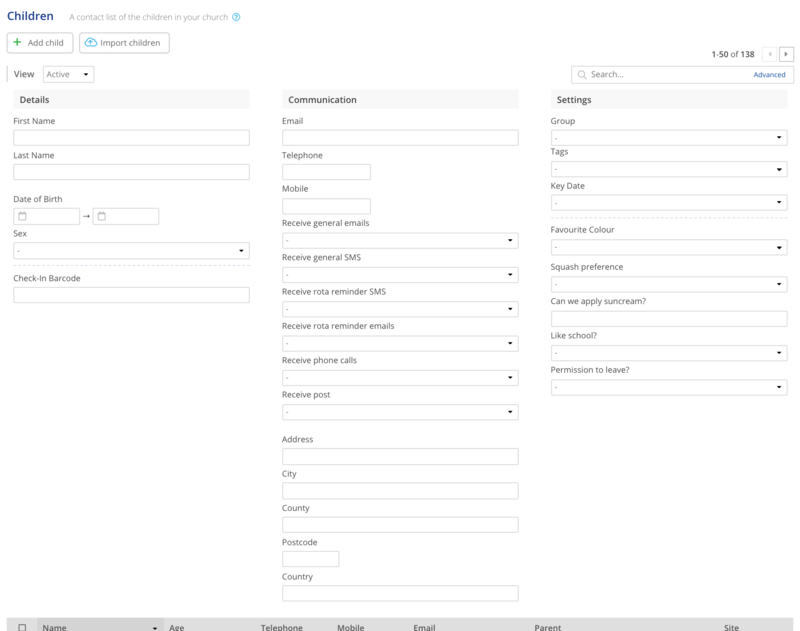 Switch the View to see Past bookings, or to view Pending or Cancelled status bookings matching your criteria. In the Customers section of the module you can Search by customer Name or Company name. The Advanced Search in the Customers section allows you to drill down further into your data by filtering on a range of criteria, such as customers with a particular Name or Company or Job Title, or searching by partial Address. Search and Advanced Search will match results within your Active customers. Switch to view Archived customers. In the Resources section of the module you can Search by resource Name or Category. In the booking Types section of the module you can Search by type Name. You can Search within the module's Reports section, searching by Booking module report name - as you type within the search bar, the list of matching reports filters. Throughout ChurchSuite it's easy to search for things, regardless of the page you're on. Near the module options icon in the top right corner of every page (all modules except Attendance), you'll find Module search - the magnifying glass icon (also available by pressing Tab+S on your keyboard). Module search enables users to search within the context of the module they are currently in. 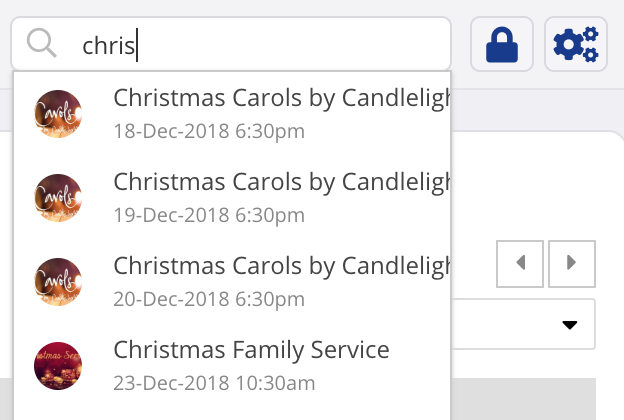 This is ideal if your currently working in a specific area within ChurchSuite; perhaps viewing a contact - rather than having to navigate back to the contacts list page of the module, you can use the Module search to quickly navigate to a different contact/child/group/event/rota/booking/giver - so much more intuitive! For multi-site churches, Module search is site-specific and will only return search results relevant to the site or 'all sites' being viewed. When in the Address Book, you'll search within contacts, when in the Children module, you'll search within children, and so on.